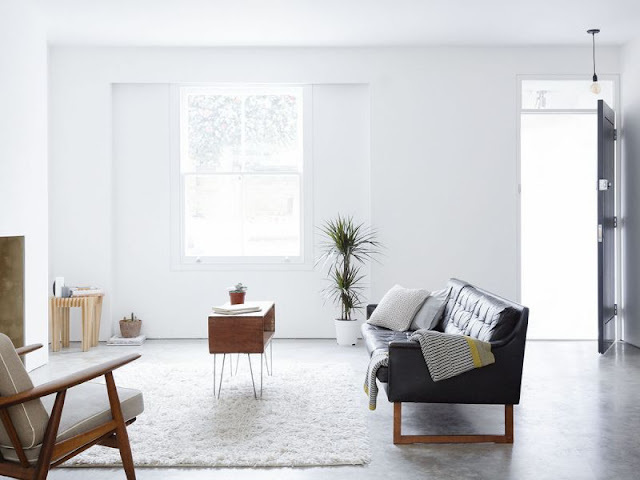 London based Larissa Johnston Architects designed a minimal maisonette in Islington that maximizes space while featuring a restrained materials’ palette. 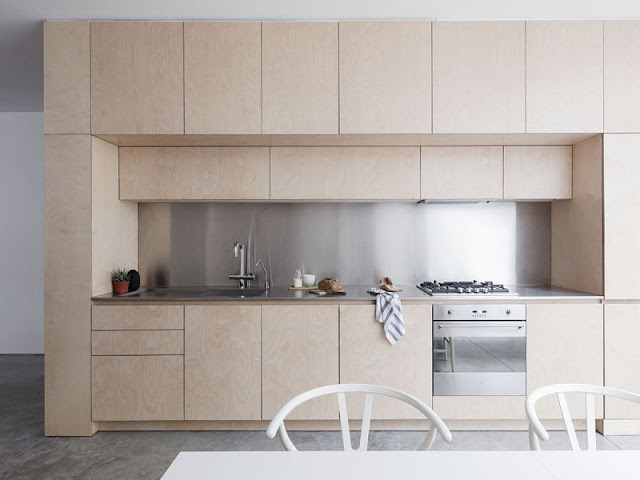 The new, reconfigured spacious plan is arranged around a plywood core that hosts the kitchen and the staircase. 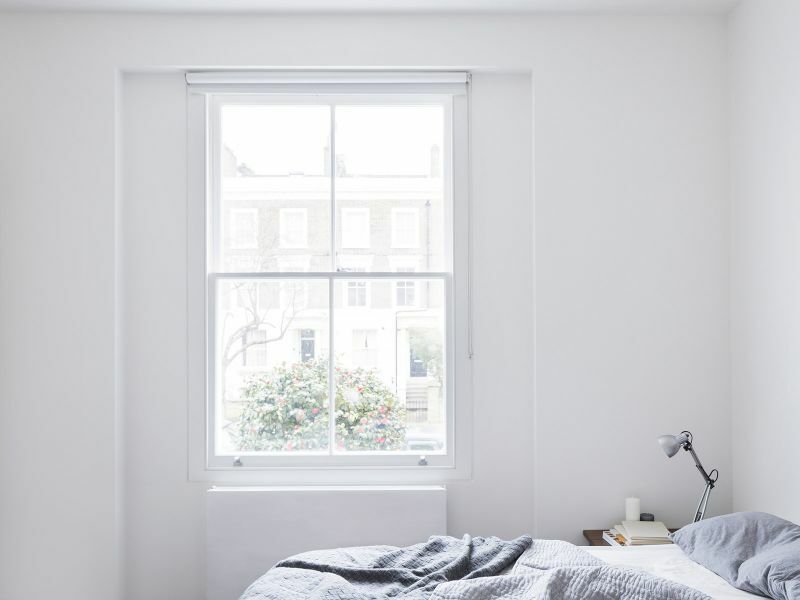 Situated in a Conservation Area in Islington, this Victorian maisonette has been reconfigured and extended to create a spacious, light and modern family home. Prior to the alterations, the bedrooms were located to the lower floor which felt dark and enclosed. 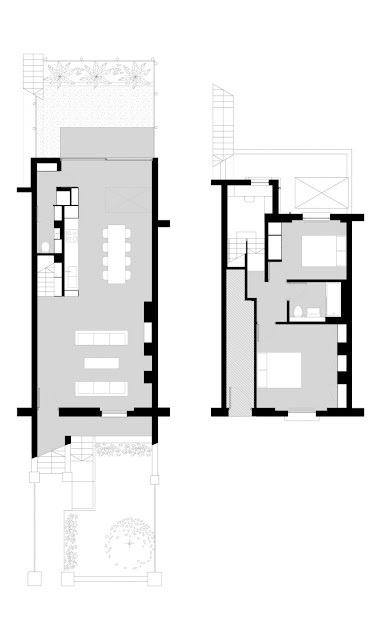 The kitchen and living room on the upper floor lacked any relationship with the rear external courtyard, which consequently felt detached and unusable. The scheme reverses the location of accommodation to provide a large open plan living, kitchen and dining area on the lower floor. All of the existing internal partitions have been removed and the new supporting steel structure is concealed within the walls and floor to create a simple, uninterrupted space. The rear external wall at the lower level was completely removed allowing an extension to be seamlessly integrated into the main space. 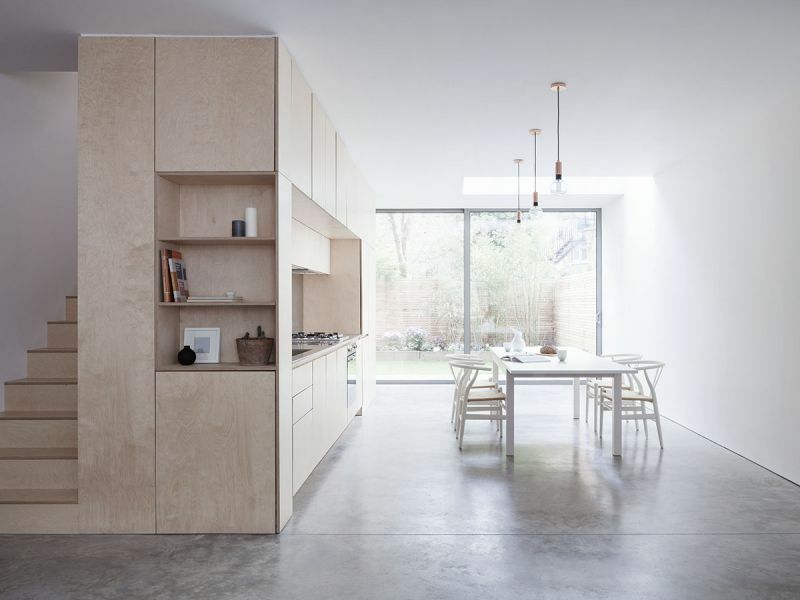 Glass sliding doors, which are the full width and height of the kitchen / dining space, open the extension up to the courtyard garden. 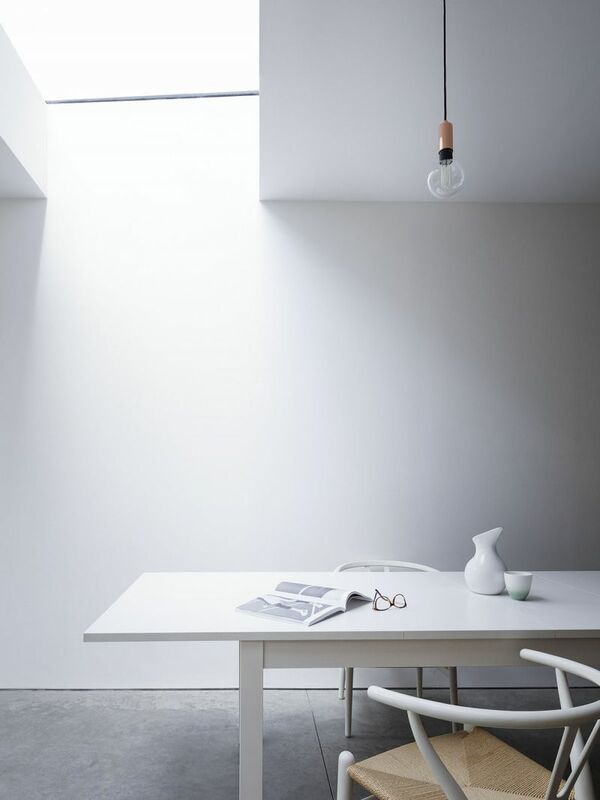 A large roof light allows light to flood into the main space. 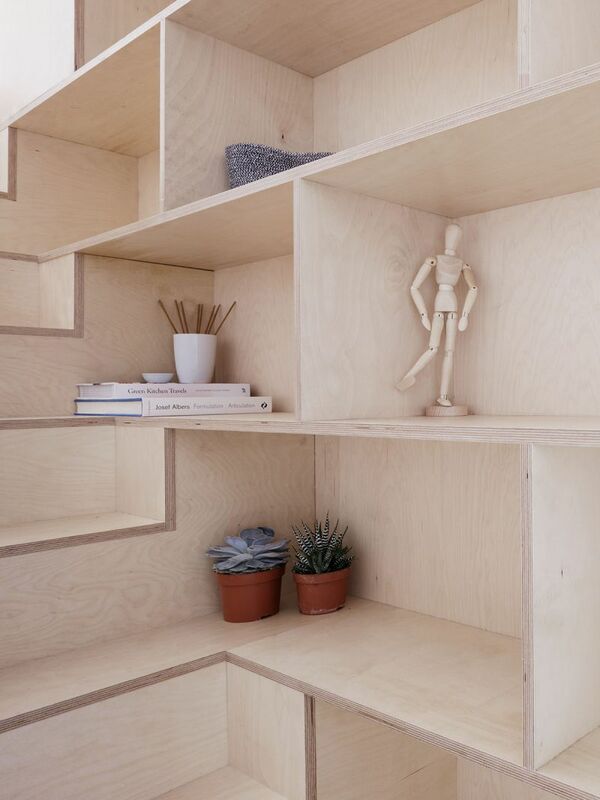 A carefully crafted linear plywood ‘box’ has been inserted into the main space and has been shaped and carved to contain the kitchen, the stairs and a series of storage units and shelves. The plywood lined utility and wc, are located behind the kitchen and underneath the stairs. 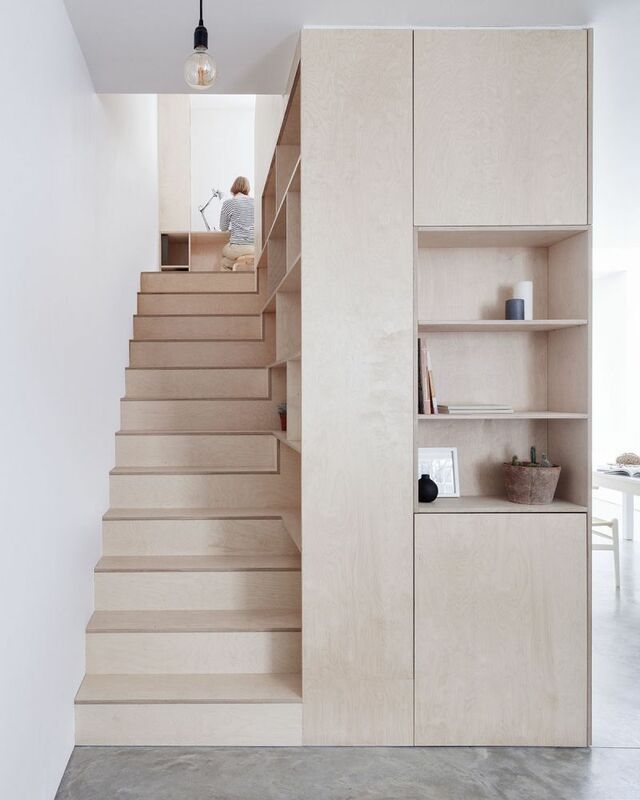 In order to allow the high ceiling soffit to run continuous throughout the main space, the half landing and upper flight of the stairs have been concealed within the volume of the ‘box’. 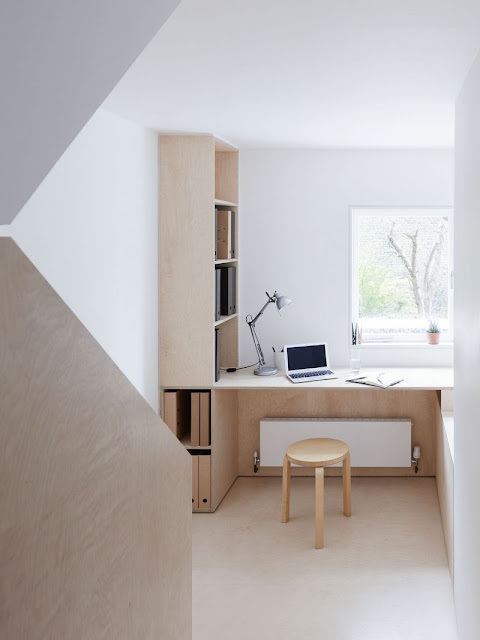 The plywood wraps up the stairs and onto the half landing which has been opened up to create a study area with integrated plywood shelves and desk, where previously there was a small enclosed storage area. 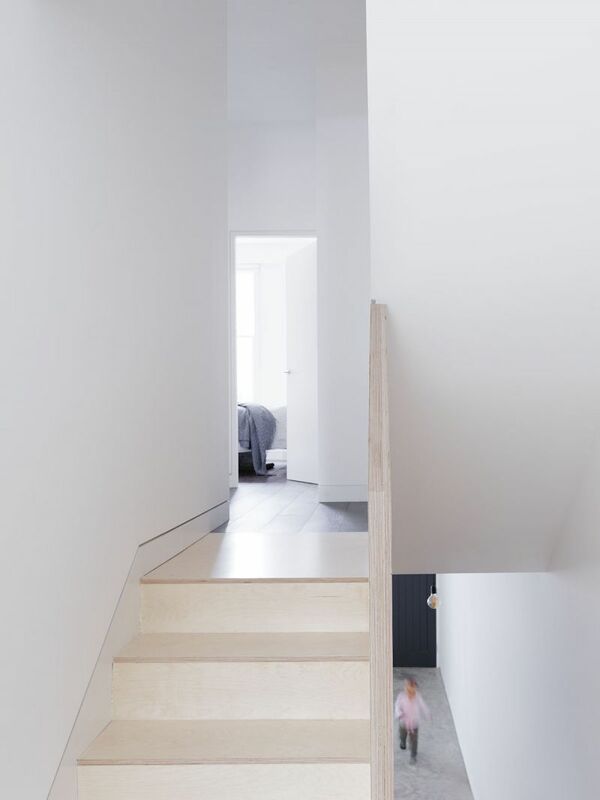 The opening up of this area enhances the sense of spaciousness within the maisonette and also brings natural light from the rear window into the stair area. The aesthetic of the upper floor bedrooms is minimalist, with dark timber floors, white walls and simple white built-in joinery. Ceiling heights are generous and light floods in through the tall windows. 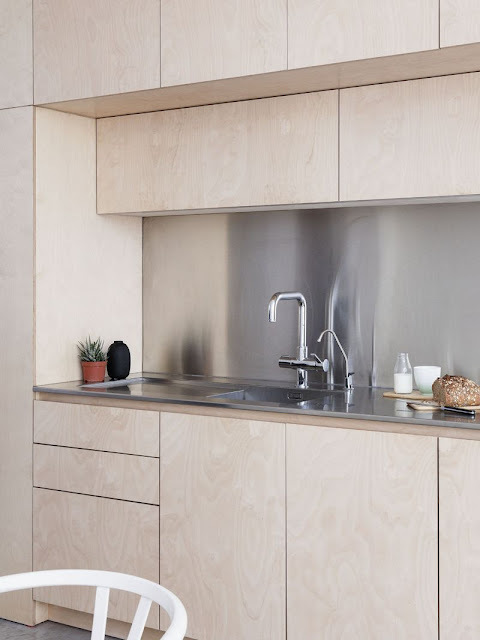 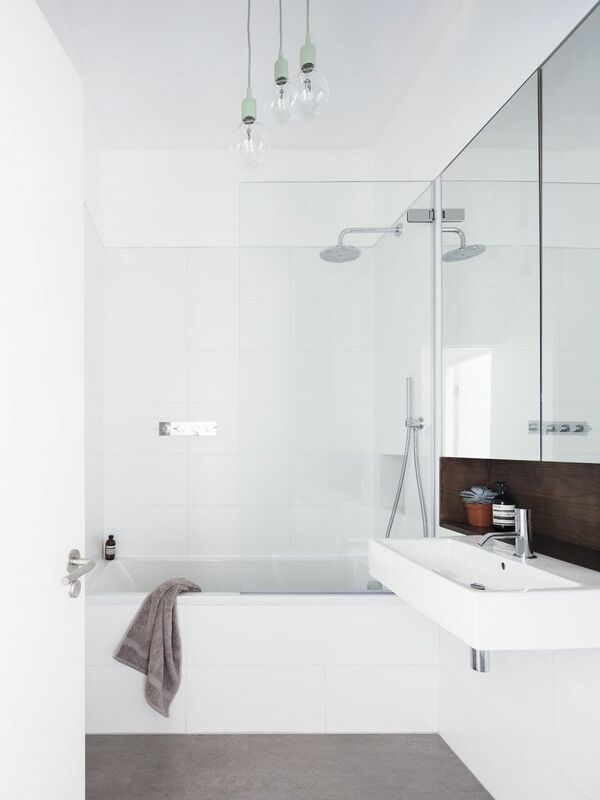 Natural materials are used internally and comprise timber, plywood, stainless steel, polished concrete and white plaster. 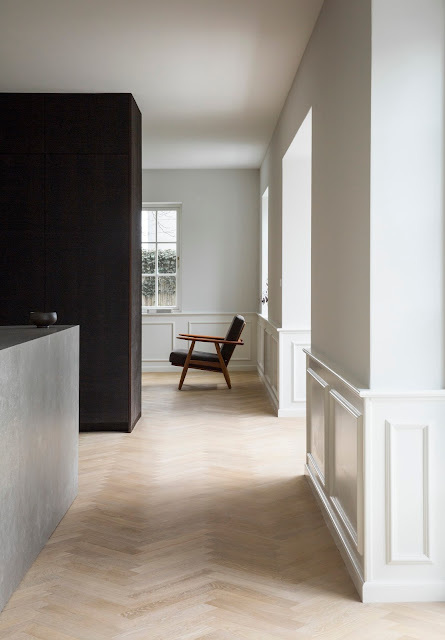 The restrained nature of the material palette is designed to complement the simplicity of the spaces. 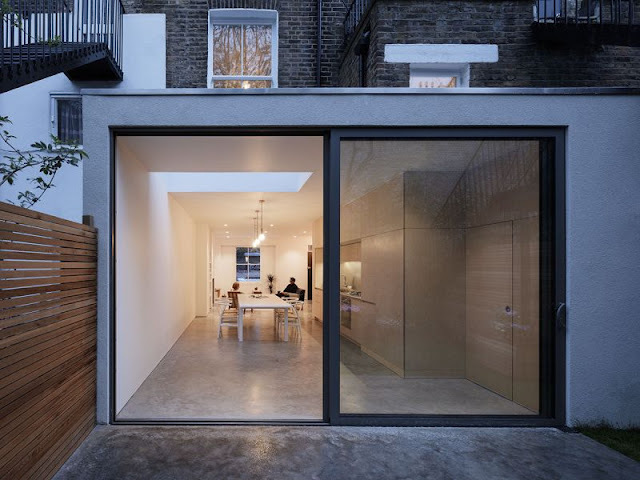 Externally the extension has been clad in white render to respond to the existing context whereby the original houses in the vicinity are characterised by a white rendered base with brickwork above. The white external render also provides continuity with the white plaster used internally.